Truman Annex Shipyard mit tropischem Garten! - Diese Villa mit 2 Schlafzimmern ist in den Farben Meeresschaum und Korallen dekoriert und liegt nur wenige Gehminuten vom Mallory Square, der Duval Street und dem schönsten Strand in den unteren Keys entfernt. - Französisch Türen im Wohnzimmer öffnen sich zu einem tropischen Garten mit Bougainvillea und Hibiskus. Es ist der perfekte Ort, um sich nach einem Tag am Strand oder am Riff abzukühlen. - Das Anwesen befindet sich im fantastischen Nebengebäude von Truman, einer Gated Community mit 24-Stunden-Sicherheitsdienst und zugewiesenen Parkplätzen für ein Auto. - Die Lage ist einfach unschlagbar! - Bitte beachten Sie, dass wir von Samstag bis Samstag fast ausschließlich in der Saison vermieten. Während Fantasy Fest, Motorbootrennen und Nebensaison sind andere Termine erlaubt. - Bitte beachten Sie auch, dass wir nur für eine Woche oder länger vermieten. Diese Eigenschaft hat fast alles, was Sie für Ihren Aufenthalt in Key benötigen Westen Beide Schlafzimmer verfügen über Doppelbetten mit hochwertiger Bettwäsche. Das Sofa im Wohnzimmer zieht auch zu einem Bett. Die Küche ist komplett ausgestattet mit Mikrowelle, Geschirrspüler und allem Gegenstände kochen. Das Anwesen verfügt über zwei Flachbildschirme, einen DVD-Player und eine kompakte Stereoanlage. Die Werft hat auch einen tollen Pool - ideal für Familien! This a a great Shipyard unit. Everything was as advertised. It’s a great location and was very clean and well-stocked. Kitchen had everything I needed to cook a full Thanksgiving dinner. You can’t beat the location of this property in KW. The owner was great to work with and very flexible and easy to reach. Thank you for the nice words. Come back soon! Hi, Mary ... thank you for your comments. Without feedback, we sometimes don't know what needs attention. Some of your concerns I have addressed, some were already in process, and some I can easily respond to. 1. Mary called me Sunday night to report that the disposal was leaking and the living room TV didn't work. I arrived within an hour with batteries. I called Comcast and ordered a new box, as well as a remote from Viore. The Comcast remote had been messed up by the previous guests (press the wrong button and you're on another planet! ); Mary's party solved the problem without a service visit by about Tuesday. Sorry for this. 2. A maintenance man determined Monday morning that the disposal was bad. It was replaced on Tuesday a.m.
3. I have only had few roaches in this property over the years but they are a fact of life in a tropical climate. The guests who checked in on October 28 reported no bugs. (You can find their review on the Air website.) I saw no evidence of bugs today when I treated. The most important thing owners an guests can do to eliminate bugs is to not leave any opened food out anywhere. They love a buffet. 4. I checked both beds. No sloping that I could tell. 5. I had already asked my house cleaner to bleach the deck. It was done the day Mary checked out. She was right. It needed to be cleaned. 7. The floor is cleaned thoroughly every week. I have a terrific cleaner. 8. The security deposit is returned by Vacationrentals.com, not me. It was returned yesterday -- the same day I received Mary's review. In summary, I responded quickly to Mary's concerns. I apologize for any shortcomings, but I wish she would have called me to report any other issues. I would have addressed them as quickly as possible. While this is not a new or perfect property, it is well maintained and squeaky clean. I would trust my cleaner with my life. I hope prospective guests will check out the other reviews for a broader perspective on this property. If anyone would like to view the property I can show it to them. One recent guest called it "paradise!" I live a couple of blocks away. Nice property, loved the condo, it was small but it worked for our family of 3. Short walk to restaurants and harbor. Would definitely stay here again. Visited Key West for my nieces high school graduation. The location is perfect and the price is great. The condo could use a little update but overall was very nice. 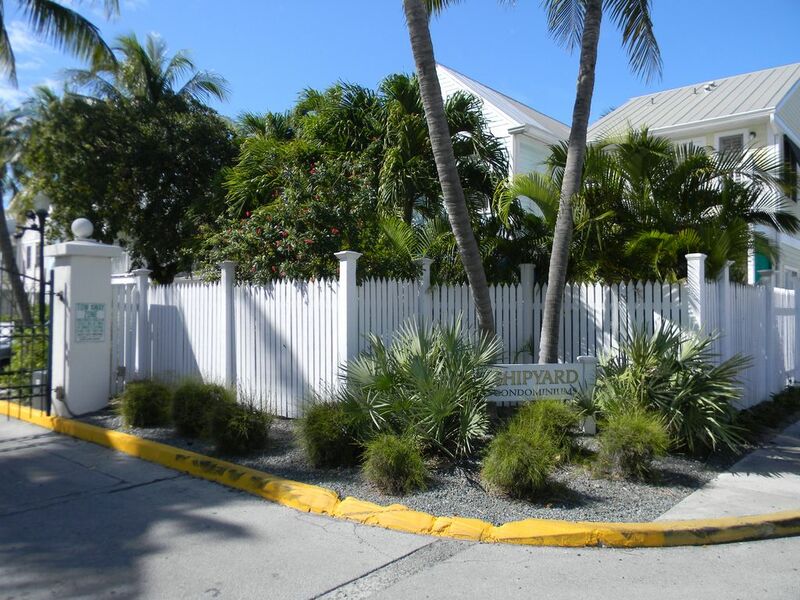 Perfect place to stay in Key West! Beautiful, very comfortable, immaculately clean, includes everything you might need. Craig was very responsive to messages. Location couldn’t have been better! We could walk to practically everything; Duval Street, Mallory Square and Sunset Celebrations, beautiful Fort Zachary Taylor Fort and beach, tons of restaurants and shopping, Conch Train, Truman House, Museums, docking points for many cruises and boat tours, etc., etc.! Would definitely stay here again! Lovely pool on the premises for a quick morning swim or evening cool down. Location allowed us to feel like locals with the opportunity to get great tips and recommendations from year round residents. Hated to leave this bit of paradise!! Highly recommend!!! You’ll love it! Thank you so much for the kind words. I've had some great times in that property over the years. It's the best location in Key West! Very quite but close to Duval street. The condo had everything you could imagine. Very clean and landlord was wonderful to deal with. Would recommend to everyone!!! auf dem Travel Channel vorgestellt. an Bord eines Schoners? Schicken Sie mir eine E-Mail und ich werde Sie in Kontakt mit Freunden, die sich freuen, Sie an Bord zu haben wird gestellt. Bitte beachten Sie, dass dies eine wöchentliche Miete nur. If you use an international bank card or credit card you may be charged a modest service fee to cover additional transaction costs imposed by Homeaway. I rent Saturday to Saturday almost exclusively. The exception is the Fantasy Fest and powerboat race period and off-season. Deposits are refundable as long as I am able to rent the property without a loss of income.